ZWCAD 2008 provides all the updated and powerful features the users need to create 2D/3D drawings. 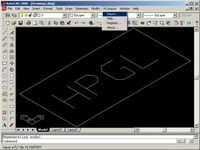 It is fully compatible with AutoCAD, as well as seamless DWG compatibility.Users can open, edit and save DWG/DXF files created in AutoCAD (2.5-2008), without the need for manual import or export operations. 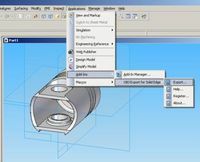 At the same time, ZWCAD2008 allows you to use SDS (equivalent to ADS), LISP, and VBA (PRO only) to develop specific routines and applications you need. 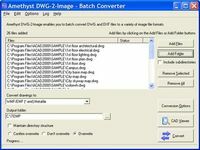 Further more, ZWCAD 2008 provides DRX (similar to ARX in AutoCAD) programming interface to develop your own applications more easily. Performance Improvement Speed of Open function increased at least 30% Speed of Save function increased at least 70% Speed of Select function at least 10 times Speed of Boundary Serach at least 10 times Meanwhile, a lot of new features are provided, such as Design Center, Quick Calculator, Merge Print, Attribute Extraction, Block Extraction, Dimension Replace, Dynamic Prompt, etc. ZWCAD 2008 runs on Windows 2000, Windows XP, and Windows Vista. 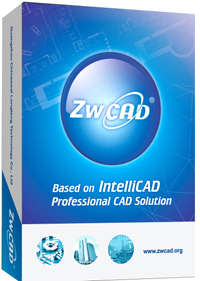 ZWCAD costs only a fraction of AutoCAD, while offering similar functionality and full DWG compatibility. Today, more than 60, 000 customers around in 60 countries choose ZWCAD to reduce their CAD budget and increase their design productivity. ZWCAD customers include many Fortune 500 companies such as Honda, Alcatel-Lucent, CIMS, GP, THORN, GE , among others.